Which came first, the character or the story? 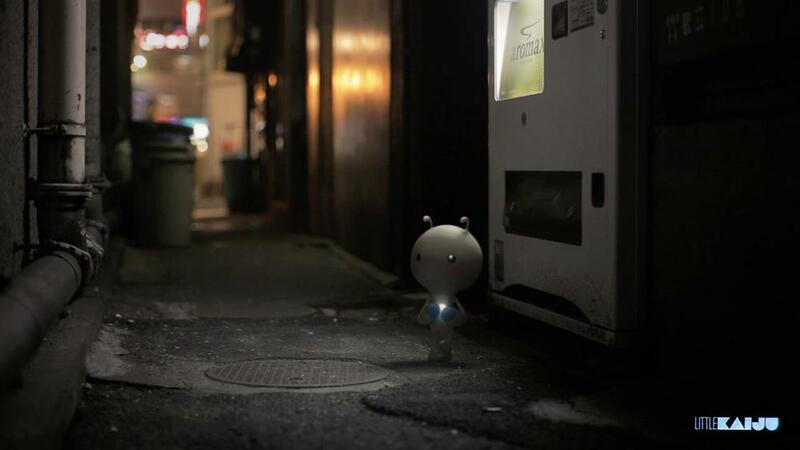 Little Kaiju is a character spawned from working closely with directors Jon and Josh Baker on commercial projects, Kaiju slipped through the cracks on those outings, and found space in this short film shot in one night on the streets around Shinjuku, Tokyo. The Bakers came to us with a brief to concept up some characters for a new commercial TVC. We made a few boards up with loose character sketches, featuring the elements they needed for the brand they were scripting for. After a few rounds of characters, the attention kept falling back to on small set of designs of a short, big headed floppy eared rosy cheeked guy, with a light in his chest, something immediately approachable and animated in his features alone. Though it was our favourite, it didn't fit well with the commercial we were working on, so the concepts sat on the shelf, without a foreseeable future. They had a script, well, an idea... ok, maybe they were just winging it on the night, but Kaiju was to be the star of a new short the Bakers had put together, and needed more detailed designs ASAP. After some detailing in sketch form, and the obligatory massaging that is the transition from 2D to 3D, we worked with the Bakers and Nick Losq to get a final form, colour and texture in "real world" form. 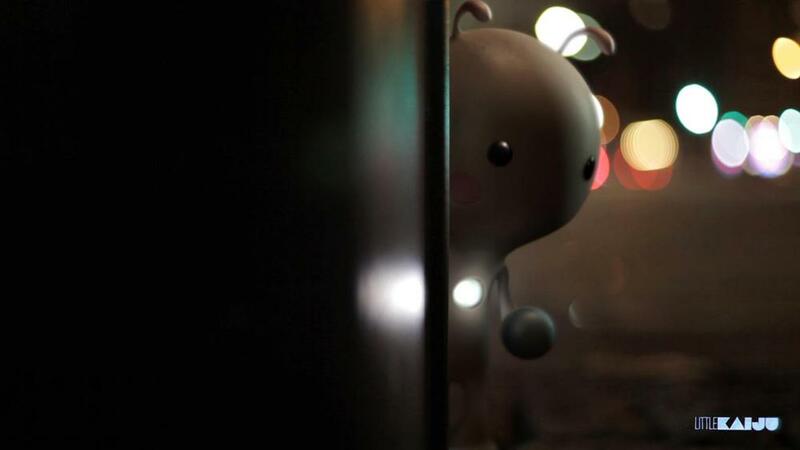 The Bakers set out to Tokyo to shoot, and captured the whole movie in a night, using a flashlight to light the environment and local talent Tei Ryushin for the small amount of dialogue towards the end of the film. Nick Losq and Chris Clyne demonstrate the behind the scenes work of Little Kaiju. With a small team of people Kaiju became a reality. Edited by Ben Suenaga, and with a score byJack Milas and Joseph Fraioli. 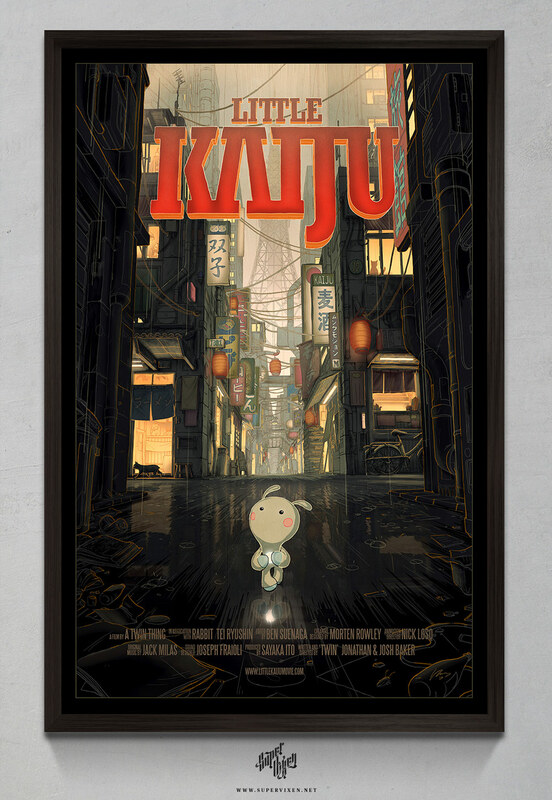 Nick Losq's animation skills in kawaii brought it all together into the believable journey we follow Little Kaiju along. Of course, every film long or short needs a poster, as the creators of the leading actor, we obliged.